I blame myself for giving my mum the handbag bug. I really do. But don't tell my dad! Last year we got her a lovely Mulberry Small Double Zip Tote. We then went shopping in Frankfurt and she picked up a lovely Aigner tote. 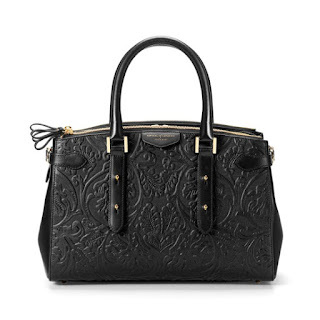 And she recently said, she was looking for "something in a similar size as the Mulberry, something nice in black". I instantly thought of this Aspinal Brook Street Bag - and as she loved it, we got it for her birthday.